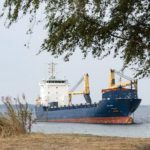 On August 3, the 130 meter long, 7960 dwt cargo vessel BBC Lagos ran aground in the Øresund Strait near Helsingborg, Sweden. 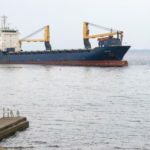 The BBC Lagos was en route to Las Palmas from Klaipeda with a cargo of 5000 tons of wheat. 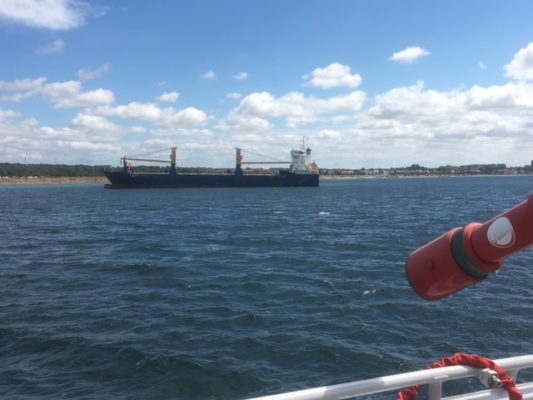 As the vessel approached the Øresund Strait, authorities attempted to contact the vessel as radar showed the vessel was proceeding off course. 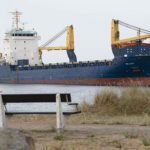 Multiple attempts to contact the vessel over radio also failed before the cargo vessel ran up on a sandbar some 500 meters from the shoreline. 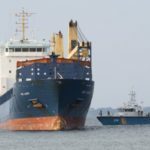 Authorities boarded the vessel and found the master of the BBC Lagos intoxicated. 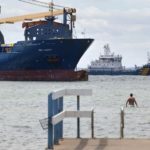 A dive survey was requested and found the BBC Lagos had not sustained any hull damage and no pollution had been released. 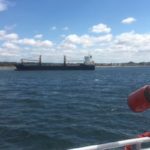 The following day, tugs were able to refloat the BBC Lagos and proceeded to Helsingborg. The incident is being investigated by Swedish authorities.